Kernel Season’s LLC was founded in 1999 with the following mission: “To create a nationally recognized brand name popcorn seasoning.” Now Kernel Season’s is the #1 popcorn seasoning on the planet. Our company is built on a strong foundation of capable, passionate professionals who are dedicated to creating a prosperous and lasting organization. It is the people that make Kernel Season’s a special place to work. Our history of steady growth is a testament to the great team we already have in place. The prospect of continued growth offers a valuable opportunity for the employees of Kernel Season’s to learn and grow within the company. Together we will build a great company that we can all be proud of. We are seeking an energetic, self-starter to manage and support sales within our Theater and Food Service Division. 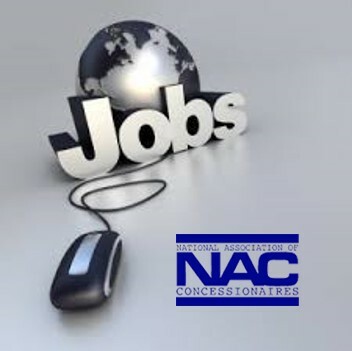 The Channel Sales Manager position is responsible for growth primarily through sales to new theaters and incremental sales in the theater accounts assigned by the Sales Director. The Channel Sales Manager also assists with accounts, projects, and tradeshows for Theatre, Food Service, and Specialty channels as assigned by the Sales Director. The ideal candidate will be professional, friendly, reliable, and flexible in their approach to customer care and development. This role supports existing accounts and develops new relationships within the Theater/Foodservice channel. The position requires a self- motivated, organized, energetic, and creative person with prior sales or customer service experience. -Approximately 50% ~ 75% of time should be spent developing existing accounts assigned by Sales Director by proactively call on theater accounts to solicit orders, build strong relationships, and discuss upcoming opportunities. Development would also include tracking all customer contacts in CRM system, ensure accurate information and considering improvements to optimize theatre contacts in CRM system. o Developing new accounts through activities such as contacting and prospecting new accounts through telephone and email contact, responding to new sales account inquiries, responding to requests for literature and product information, coordinating shipments of samples and literature, and processing new account set-up paperwork. o Administrative duties such as coordinating monthly data pulls for sales reporting, analyzing sales reporting to determine current issues and opportunities within the channel, coordinating travel arrangements and trade show needs, scheduling meetings. o Training and research so this personal can stay knowledgeable and up-to-date on changes and developments in the theater and foodservice channels through various trade association memberships. o Assist in the development of innovative marketing and promotional material within the channel. o Trade show assistance and attendance including set-up and break down of the booth. o Assist the Sales Director with any assigned projects. This is a full-time position. Days of work are Monday through Friday. Occasional evening and weekend work may be required as job duties demand. This position may require up to 25% travel. Thank you for your interest in this employment opportunity. If you think your skills and abilities would be a good fit for this role we would love to hear from you. Please send your resume, cover letter, and salary requirements to Theresa Tomczak at hr@kernelseasons.com or by fax at 773-353-9501.